(Bloomberg) -- For a man who wields almost unbridled power across his realm, Turkish President Recep Tayyip Erdogan is taking this month’s local elections very seriously. With the opposition at the gates of the capital, he has every reason to. In a frenzied burst of campaigning, the 65-year-old has held multiple rallies in the country’s two biggest cities in recent weeks, as opinion polls show his ruling AK Party’s set to lose its long dominion over Ankara and is shedding support in Istanbul, the commercial hub, amid an increasingly grim economic outlook. That threatens the quarter-century long hold on those key cities by the country’s political Islamic movement. If that sounds like hyperbole, remember that Erdogan’s Islamist-rooted political empire was built on his successes as mayor of Istanbul, where from 1994 to 1998 he delivered improved roads, cleaner water and a support system for the poor. 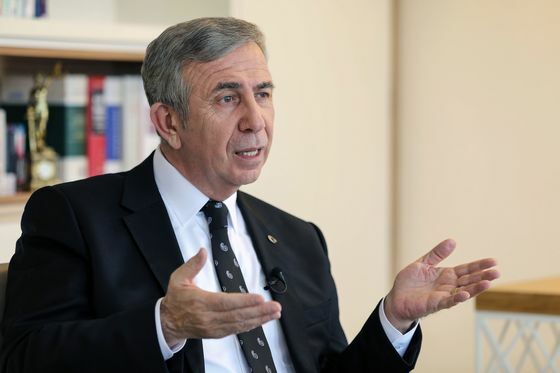 Better than anyone, he understands that power, and money, in Turkish politics flows from the grassroots and any erosion in his party’s core support inevitably threatens both. Erdogan insists he’s indifferent to the opinion survey findings given his record of successfully galvanizing loyal supporters as key ballots neared. But in this first election since he was sworn in with sweeping executive authority over policy and personnel, and with Turkey in its first recession for a decade, there’s plenty to worry about. The fight has been especially tense in Ankara, and Erdogan has lashed out at the man tipped to win there, Mansur Yavas of the Republican People’s Party, or CHP. He’s been fielded by an opposition bloc and has a double-digit lead in some pre-election polling. 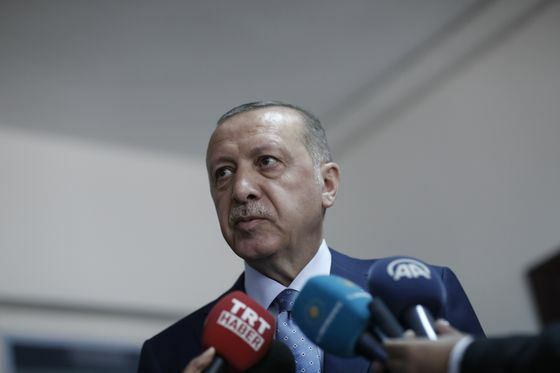 “Ankara is too important to be handed over to people mired in shady businesses,” Erdogan said during a rally there on Wednesday, referring to a pending case against Yavas. A Turkish court charged the politician on March 11 over his handling of a 2016 commercial dispute, hours after AK Party spokesman Omer Celik accused him of misconduct in his work as a lawyer. Yavas lost the previous local election in Ankara five years ago by a single percentage point. For Erdogan’s critics, the attack on Yavas was another attempt to intimidate opponents as the president seeks to cement his power at home and carve out a leading role as a statesman across the Middle East. He denies the allegations against him, and has complained about biased media coverage. While AK Party officials were given more than 10 hours of TV air time between March 11-13, the CHP got just over one hour, according to data from the media watchdog. Binali Yildirim, a former AK Party prime minister, is expected to prevail in Istanbul, even as CHP candidate Ekrem Imamoglu could increase the party’s vote significantly. Nationwide, most polls point to the AK Party-led alliance getting a lower vote share than it did in the 2018 presidential election. The economic backdrop as Turks prepare to vote is darkening, with unemployment ending 2018 at a nine-year high. Rampant inflation forced the government to open food stalls selling discounted goods to insulate the poor from the impact of last year’s currency crash, which was fueled by a diplomatic standoff with the U.S. Consumer sentiment is at its lowest since the 2008 global financial crisis. For Erdogan, there’s little good news in sight. “The local elections will be a test of how strong a grip on power the president and his Justice and Development Party still hold on the country after a period of economic crisis,” Teneo Intelligence Co-President Wolfango Piccoli said in a research note this week. As in past elections, Erdogan has again sought to swing nationalist voters to his side with warnings that separatist aspirations among minority Kurds pose a major threat to the country’s integrity. The pro-Kurdish HDP party, which has faced a broad crackdown since it won enough votes to enter parliament in 2015, has stoked the friction with its decision to sit out crucial municipal races outside its southeast stronghold to support candidates from the opposition bloc led by the CHP. But at a time of deepening economic hardship, ethnic grievances may be losing their power to get out the vote, even among some stalwart Erdogan backers.